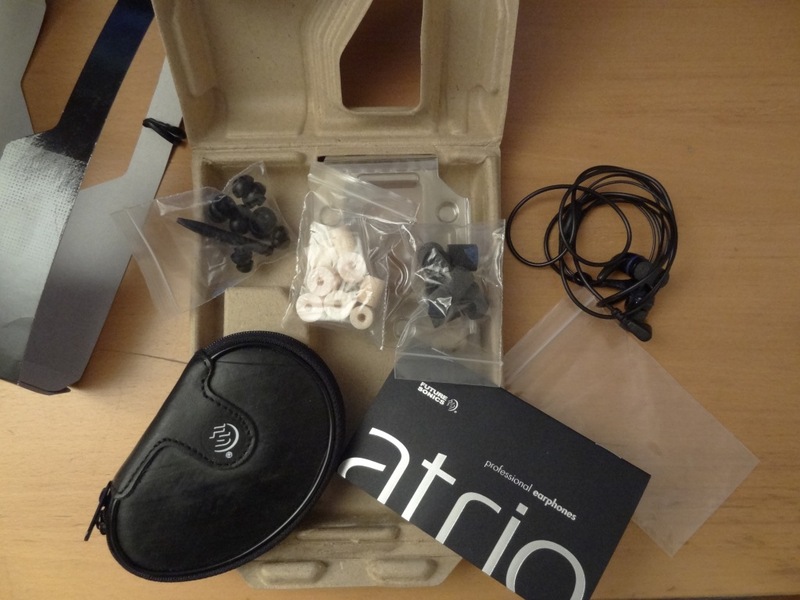 I bought the Atrio M5 with MG7’s, whilst they were on the $115 deal, however I paid $95 shipped to France, which was an even better deal. 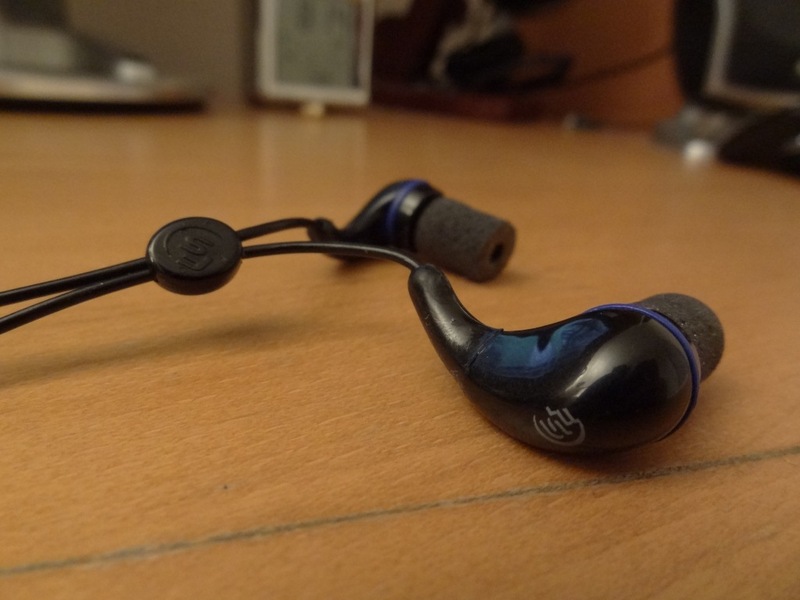 The MG7’s for me were something I was hesitating at first, due to their looks, and their pro-claimed bass. I was looking for something to replace my TFTA’s which had as much bass, at least in quality, had the same soundstage, a better isolation, but most importantly, better mids. Let’s get down to this review! I really like what Future Sonics did here with their new eco packaging. 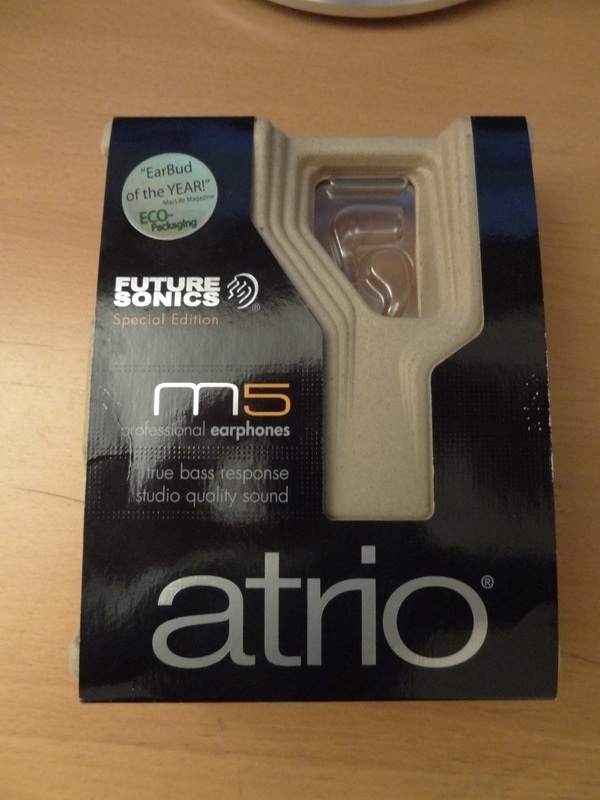 the packaging at first wasn’t familiar to me, as I was reading reviews, and most of them had the M5 logo in green, with no “special edition” written under the Future Sonics logo. more so, the case inside was different from the “normal version” – I later found out this was their new eco-packaging. 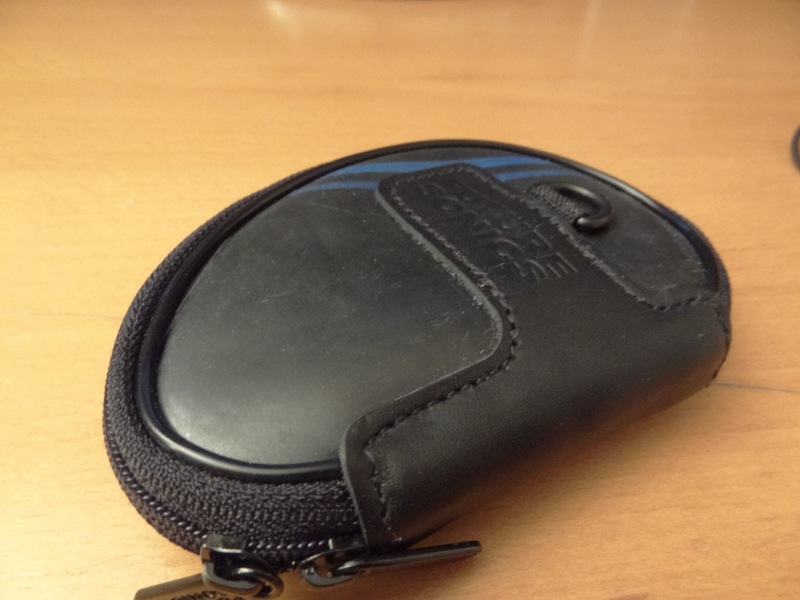 It had a recycled tire for the carrying case, and what it seemed like, recycled cardboard. I love the initiative, and the attention to our planet approach. Good on you, Future Sonics! 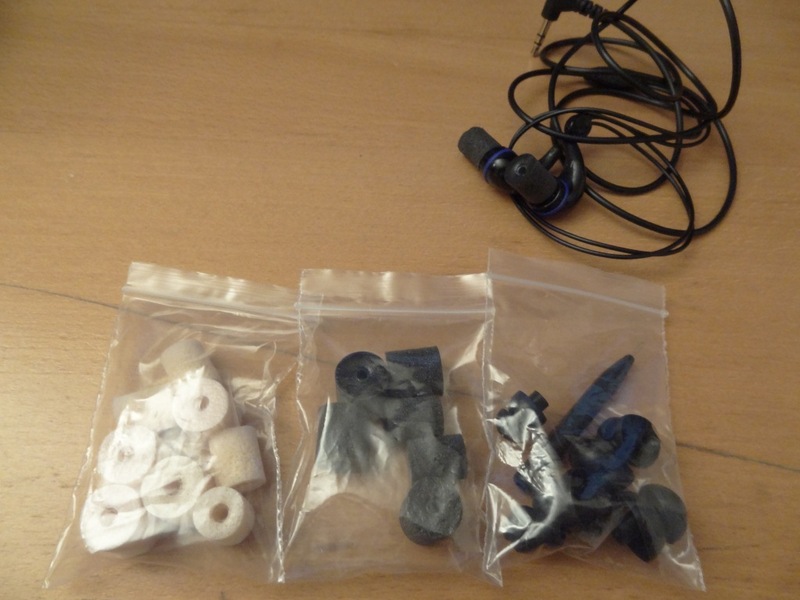 Now for the contents themselves, they came equipped with quite a few tips. Overall, great job – I think however the inclusion of some normal silicone tips might not have been a bad idea, instead of all the foam tips. that said, I use the foam tips anyway, as they don’t hurt my ears as of the bi-flanges, and provide me with comfort and isolation. That said, as they aren’t “rounded off” they aren’t smooth, so I would look into Comply tips if you’re not 100% satisfied with them. And now unto the initial impressions of the look. 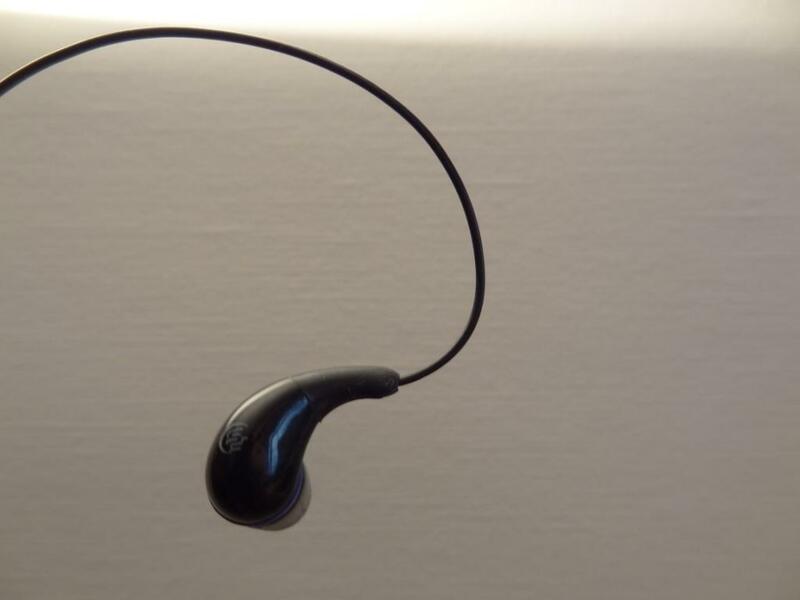 I do have to say these look like £5 earphones you would buy from HMV (equivalent of your bestbuy) – they look cheap a little tacky, and not very pleasant. Especially the “coloured” versions, such as the blue versions look like toys. That said, don’t judge a book by its cover – more on the sound quality later. The build quality of the M5’s isn’t bad, but not great either. The earphones themselves however, feel like they will survive a quite a beating. I don’t know exactly what material it is, but its obviously plastic. 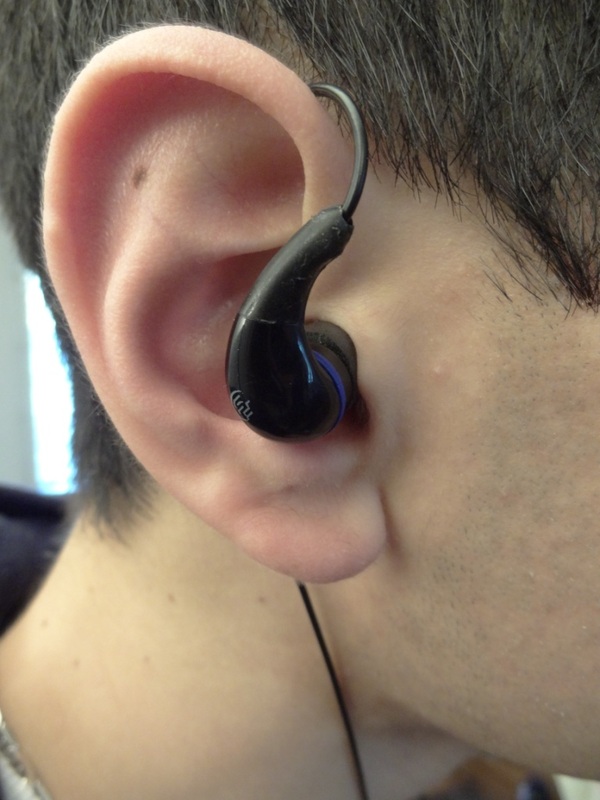 This is great for the weight of the earphones, as they are very light, and thus can be worn for hours on end. 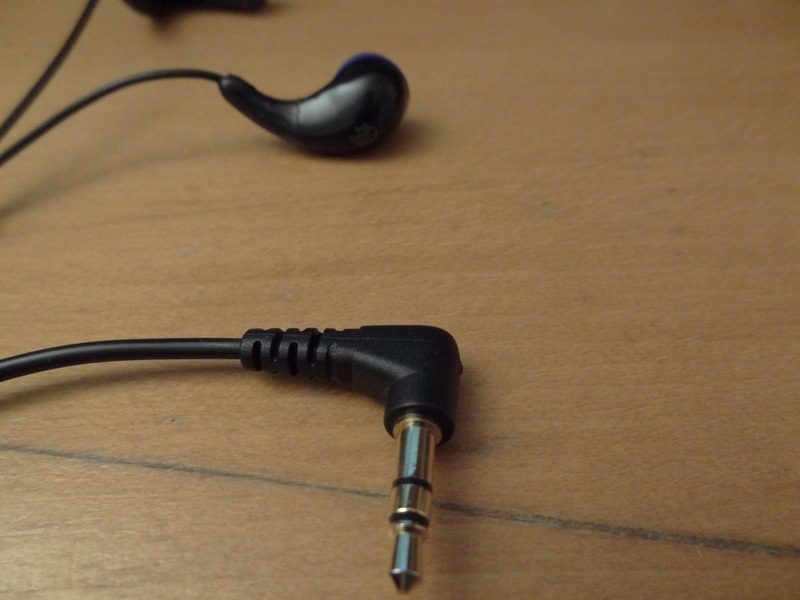 I like that the earphones are attached to the cable via a soft bendable, if you will, material. which means they can be flexed to a certain degree. The wire itself, is of decent, but not great quality. The main, good thing about them, is the fact that they don’t tangle. The MG7’s are terminated by a L shaped 3.5mm gold plated jack – which is good, especially if you want to put them in your pocket. -The splitter is far too short. 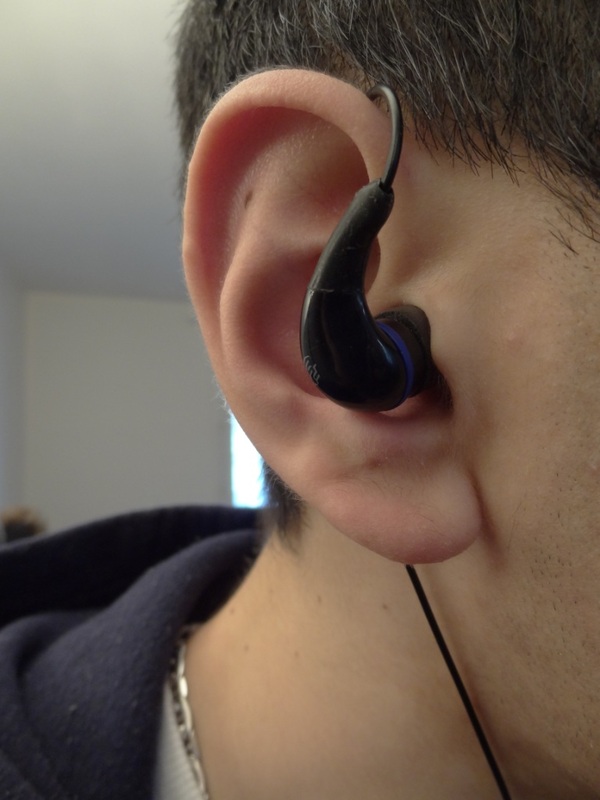 Seeing as these have to be worn over-the-ear to prevent microphonics, the splitter ends up 2-3cm away from your chin. it would have been better, if there was more splitter length. The actual wire length however is perfect. Not too long, not too short. Its around 1.2m long. The look of these, as described before is like a £5 set. They do however grow on you, from your initial impressions, however it goes without saying that they don’t look like the “real deal” at first sight. The comfort is very good, however its mostly tip dependant. Due to their long-ish nozzle, they do go in quite a bit, and thus when you eat or open your jaw, they tend to move a little out of your ear, as they are reasonably (deeply) inserted. 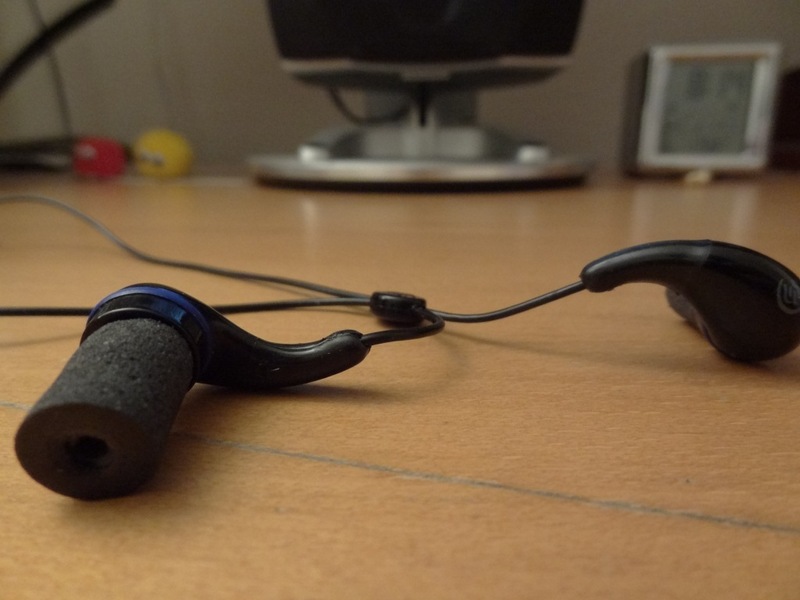 The isolation, is a great in my opinions for these earphones, especially for universals. To the point I think, how well would customs do. 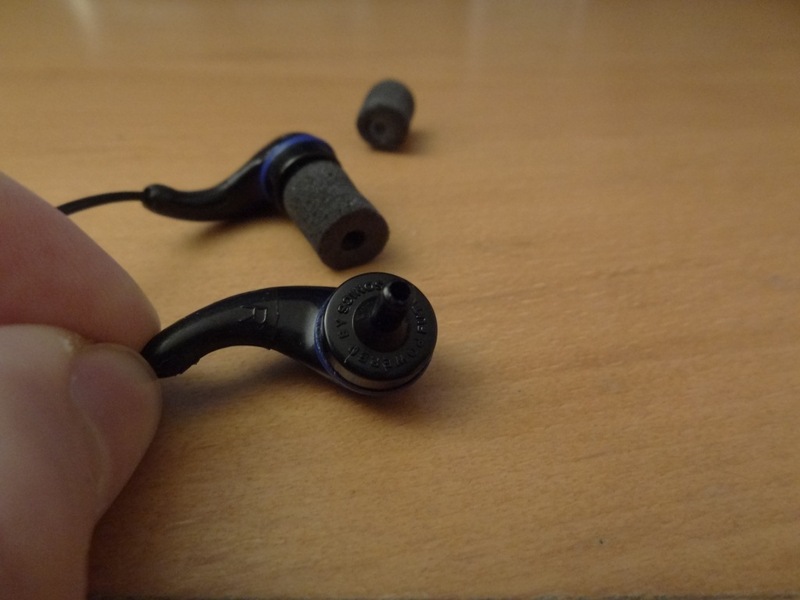 They do a very good job in isolating, and this is also due to the fact, that they have no air port, unlike other earphones I’ve heard. Now this is what the most important factor is. 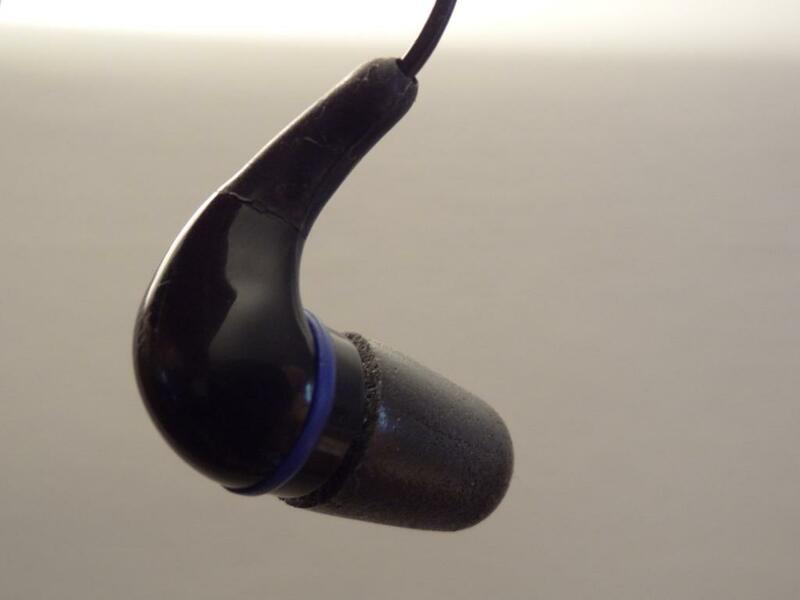 The actual sound quality of the earphones is one fo the biggest factors behind buying them. The lows here are really broken down in 2 parts. For me these have the best sub-bass I have ever heard. They go deep, they go hard, they really hit that low-end frequency like a baseball player hitting a baseball. They also go very low, they don’t lose any depth or strength in their sub-bass at any given point – meaning with an amp, or EQ they can go even lower, and handle it. Now for the mid-bass – they do have impact, and I suppose for the general audio-nut, they are brilliant, however for a true basshead, you will find that the mid-bass is actually lacking. Not in quality, but in quantity. Again this can be EQ’ed or amped – and thus I use the digiZoid ZO2 to give these babies that extra nutch in mid-bass. The masterpiece of the balance the MG7’s have, is simply outstanding. They produce such a nice soft mid range response and accurate highs. The main concern I have with the MG7’s is their soundstage, and i feel due to their closed soundstage, the mids take a little hit – by that I mean, they don’t sound as good as they potentially could – almost like feeling restraint to some extent. So the mids aren’t perfect, but are good. For me, the biggest let down in the MG7’s – but its to be sort of expected with such a small nozzle, and no vent port. 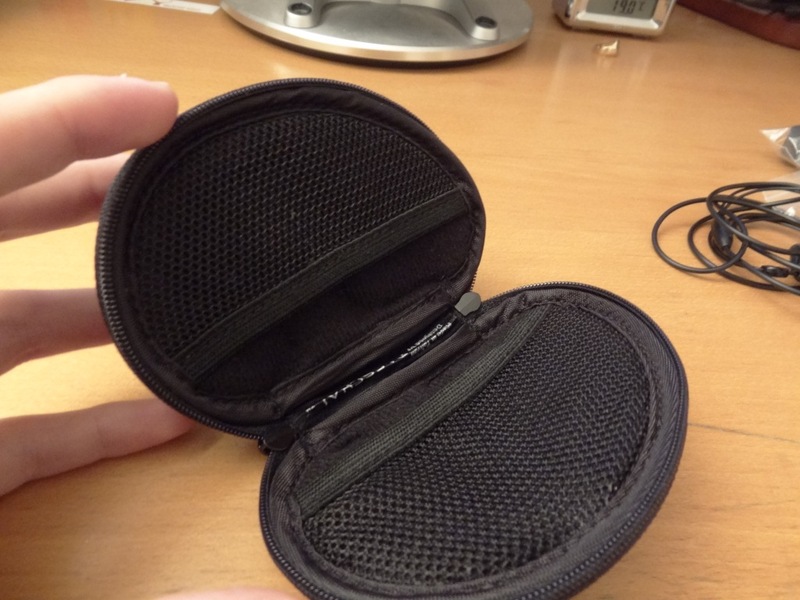 The earphones, don’t give you a sense of space, and it feels rather enclosed. This however is the compromise for having good isolation. 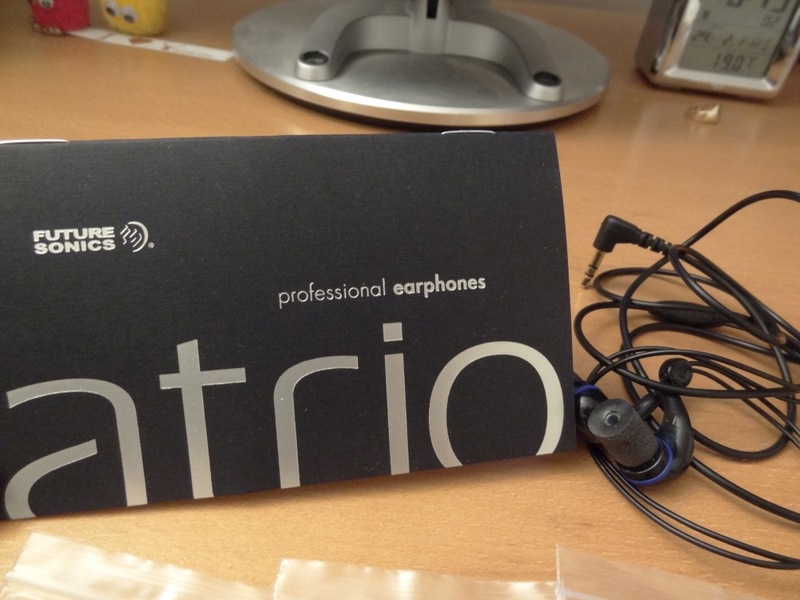 So, if you are looking for earphones with good soundstage, these aren’t it – but then find me one with the same sub-bass, isolation, and price. Here is the video review! This entry was posted in Audio Reviews and tagged Atrio, driver, Future, future sonics, king, M5, MG7, Overview, Review, Sonic, sonics, sub-bass on March 29, 2012 by TotallydubbedHD. 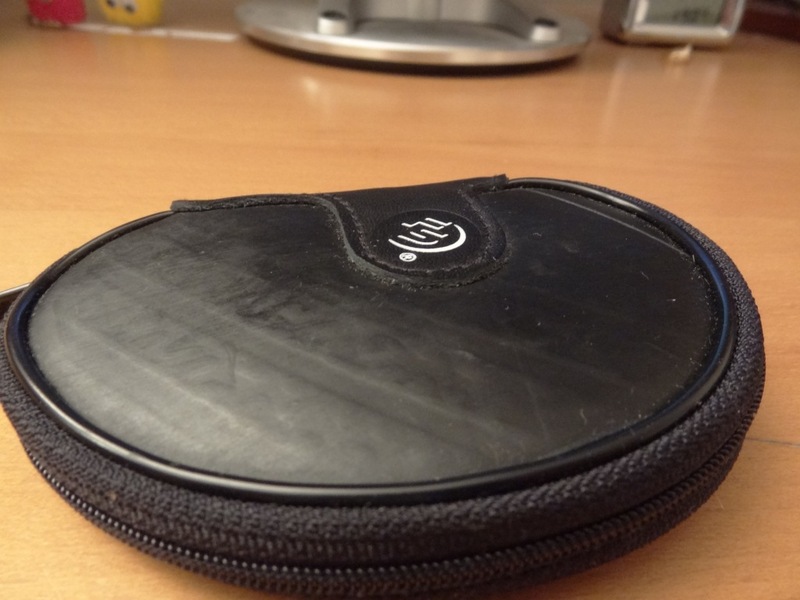 Nice review and I to think its a very good IEM and quite well rounded for being so bass heavy. Imo if it had a bit bigger soundstage it would be a very good top-tier IEM but as it sound its still one of my favorites in my growing collection. A while ago, they had a deal on in America. So, you’ll have to grab it used on the internet. Just bought one for 99.99 usd . Use the code “costprog50%” to get 50% off but shipping is flat rate of 10 usd. The website is http://www.atrio.me. i got an m9. Oh nice the deal is back! Thanks for sharing!